Video editing is slowly becoming more and more necessary in your average domestic PC environment. Everyone records video with their smartphones from time to time – we could have the desire to merge our videos into only one, in order to save space or create something better. To do this, we just need a video merger and some free time. Today we’re going to talk about one of the best applications for this job, VideoProc, available for Windows and Mac. VideoProc is a software specialized on video editing and conversion. Created by Digiarty, this program is one of the best to reduce file size and merge various videos into one. It is especially effective at reducing the size of HD and 4K videos with minimal quality loss. 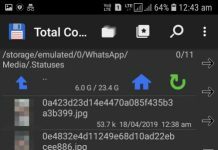 It can also change the video format into one easily readable for your PC or smartphone, so you won’t have any compatibility issues after using this application. VideoProc offers a lot of different things and it has various advantages over several programs of its kind. 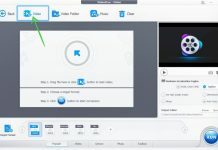 It has all the basic features: it allows the user to cut, trim, merge, rotate and change the format of the selected videos. VideoProc specializes on 4K video, and it can transcode your videos to upload them on social media sites like YouTube or Facebook. Everything that this program does, it does it very quickly – you can rip a DVD with this program in only 5 minutes. If you want more info about how does VideoProc handle video processing, you can watch the following video and see it for yourself. Digiarty offers more info in their site. They even have a tutorial about how to merge videos with VideoProc. But of course, that doesn’t mean we didn’t try the software ourselves! Here’s what you need to do if you want to merge a video or a series of videos using VideoProc. 1.) Enter the main site, download, and install the program. 2.) After installation, open VideoProc. Click on the Video icon, then select “+ Video” to choose the videos that will be merged into one. 3.) You’ll have to choose the output format next. The program will take a little more time merging your videos if the selected format is different from the original format. Be aware, however, that you should select the best format for your needs (If you want to upload a video to Facebook, you won’t choose the heaviest format). 4.) Click on the “Merge” button to enable the option. 5.) Click on the “Run” button on the bottom right corner of the screen to start the video merger. The process was very easy to follow for us, and it was extremely fast too. One of the main advantages of this program is its speed – it is one of the fastest video converters we’ve ever used. But it’s time for you to see it for yourself! Download VideoProc and test all of its amazing features. You can tell us about it later in the comment section!